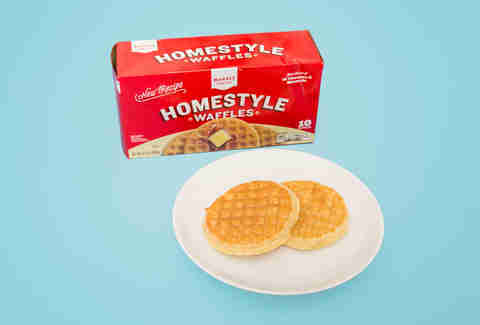 Eggos, Aunt Jemima, even those gross “healthy” brands -- these were the convenient, buttery, most important meals of my childhood days. Each sleepy morning was punctuated by that reassuring toaster “ding,” the universal sound that alerted me that my crispy, checkered disc was finally ready for its requisite syrup drenching. That’s not to say that these golden brown treats have been lost to the realm of ‘90s nostalgia. Now as an adult, one of life’s greatest pleasures is being able to eat whatever I want whenever I want it. And that means frozen waffles all day everyday. The only catch? 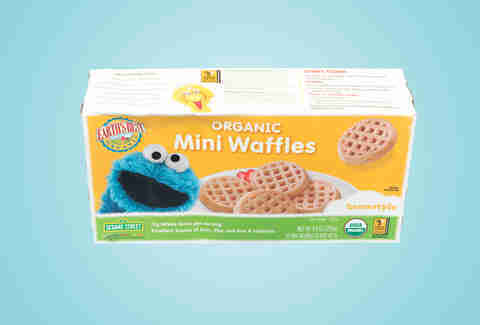 Now, I'm buying and, as it turns out, there’s a whole world beyond the Eggo... or at least a whole freezer aisle. 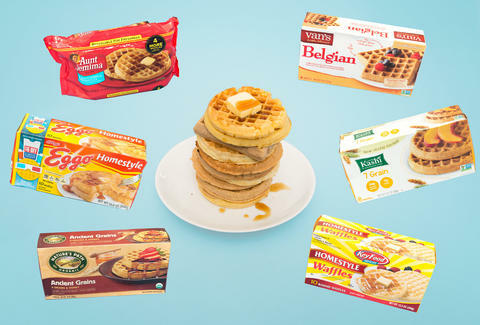 I enlisted fellow Thrillist staffers Wil Fulton and Alex Robinson to help me taste 11 different frozen waffles so that we, as adults, can make better, more informed choices when it comes to pre-10am food items (or, let’s face it, post-12am snack runs). We then rated each from 1-5 (5 being best) and averaged the scores. The final rankings are below. Wil: "Mmm... 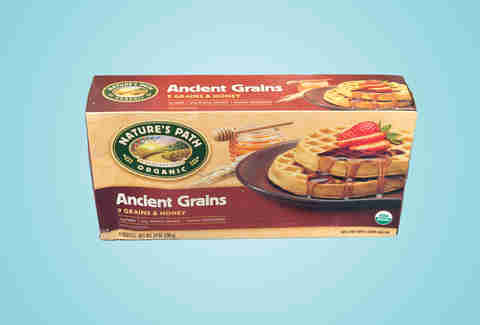 Ancient Grains actually tastes like it was made with ancient grains, like they just found it in a cave. It tastes dusty. If my friend's mom gave us that after a sleepover, I would have to call my mom and be like 'Hey, you need to come pick me up early.'" Alex: "It's like one of those companies that's like, 'Recipe unchanged since 1090 BC.' I'd feed it to the dogs when no one's looking. It's like they just quit. They quit caring." Meredith: "It tastes like an old shoebox. Why does it taste like that? 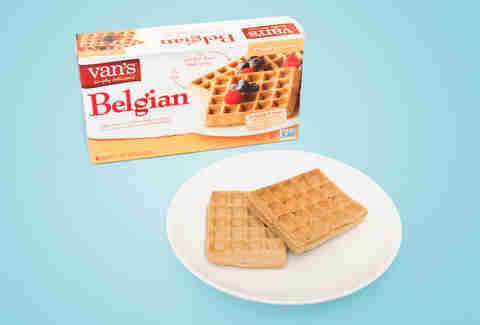 And it doesn't even look like a waffle." Alex: "Now they display an image of waffles with strawberries and whipped cream -- when you have to advertise like that, I'm guessing this one's not going to be that good... NOPE, do not like this one at all." 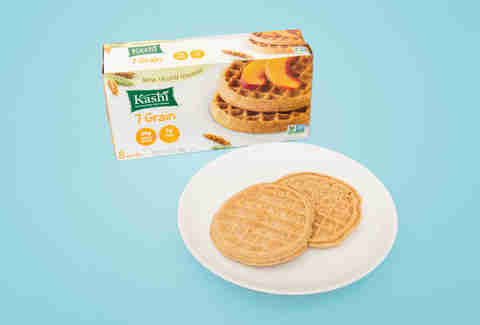 Wil: "This one's a little bit darker, but it doesn't say whole grain... this is not great. I was even like, 'I'm going to give this one a chance,' but no." Meredith: "Oh wow, nah uh. It tastes like plastic." Alex: "I'd give it a .5 just for looking like a waffle." Alex: "I had higher expectations. It doesn't taste like a waffle at all. It looks really good, but it's not. 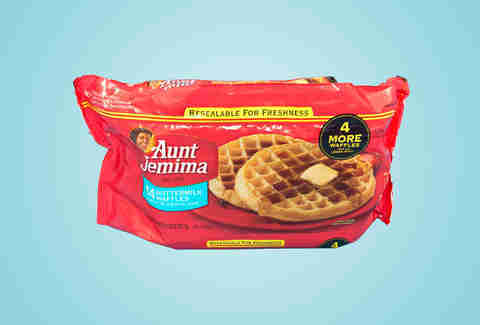 I don't know, I think maybe we got a faulty Aunt Jemima waffle." Wil: "I feel like something might be wrong with this one. It tastes funny, like there's a penny inside." Wil: "This might be the crunchiest yet, but it's also the ugliest. This waffle looks fucked. And it has an almost burnt, real whole grain taste to it." Meredith: "It's so much heartier. I mean, it took me way longer to chew that than any of the others. It's really crackery -- I feel like I'm eating a stone ground cracker. 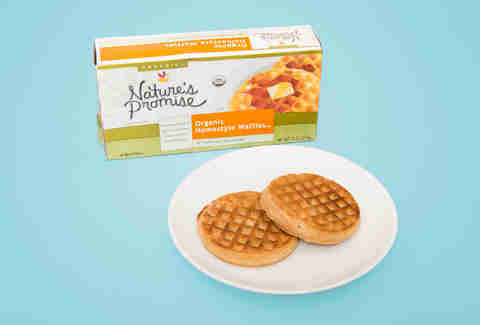 It's not for the waffler on the go." Alex: "I like the toastiness, but I feel like I'm going to need a glass of water after this. You could cut it into small squares and serve it at parties like an hors d'oeuvre." Alex: "I like the crispiness. That's a good crisp. The syrup does give it most of its flavor, but if you threw a little bit of butter on that, it'd be much tastier." Wil: "I think it's really buttery already, which I like. But this is weird. It's like, too well defined. It's too sharp -- look at those corners, it looks like it's going to hurt your mouth." Meredith: "It's nice and light and texture's on point, but the aftertaste leaves an oily film, like how your mouth feels after you eat McDonald's." Wil: "See I like that. Maybe I'm just used to it." Wil: "Whoa, a square guy! I actually really like this one. It's bready and thick and it has big squares -- good for syrup." Alex: "Yeah, it has really good syrup pockets, like it's a good syrup vessel. It's crunchy, too." Meredith: "It's not as sweet as I thought it would be and it has some cinnamon notes to it, which is nice. But it's too filling... and I do not like that aftertaste -- it's dusty." Wil: "It's multi-grain. I think that's your problem." Alex: "Looks promising. Hmm, oh yeah, I like these. It doesn't exactly blow me away, but I'm also not disgusted by it." Wil: "This Target one is actually pretty good, a good approximation of an Eggo. 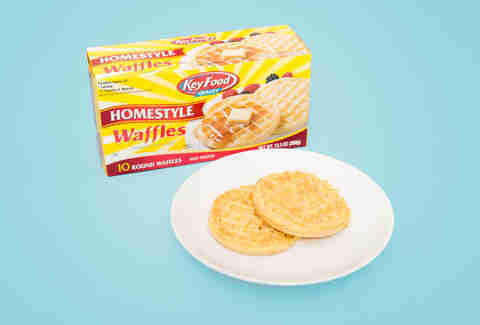 It's your standard frozen waffle -- it's not bad at all, but there's also nothing that jumps out at me. It's probably the most forgettable, though still solid. Meredith: "It's kind of eggy. Nice texture, light, custardy, inoffensive. But yeah, it's middle of the road, pretty generic." Alex: "If you want Eggos but don't want to pay those Eggo prices, this is what you get." And No. 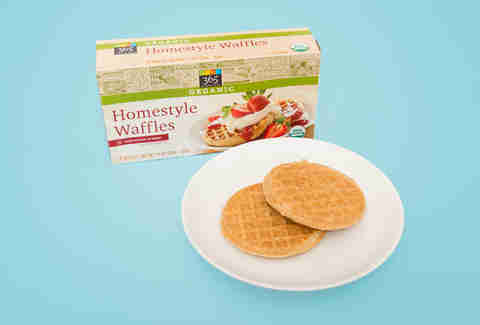 1... Eggo Homestyle! Alex: "Yep, Eggo's still great. 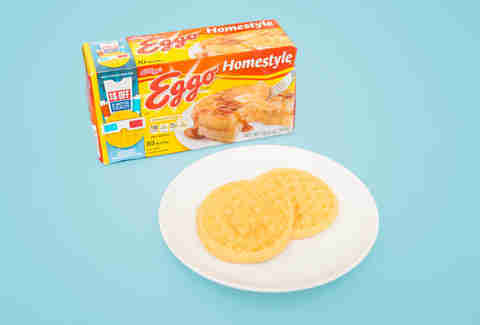 You can't go wrong with Eggo. It's crunchy, buttery -- there's something so perfect about it." Meredith: "Good old fashioned Eggo. That butteriness, though. It's so good, so satisfying." Wil: "Even after tasting all these, this is still definitely the best one. When you chew an Eggo -- I can't explain it but it's a weird texture thing and only Eggos have it. It can't be beat. 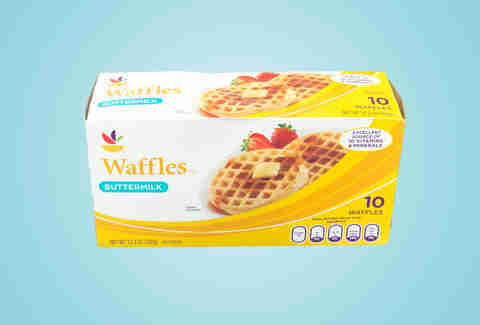 They're like the Tim Duncan of waffles -- they've been around forever and you don't even realize how good they are, but they're fundamentally amazing." Alex: "I now understand the anger of somebody taking someone else's Eggo." Meredith Heil is a staff writer for Thrillist. After the party, it's the Waffle House; if you ever been here, you know what she’s talkin' about. More tips and tricks at @mereditto.